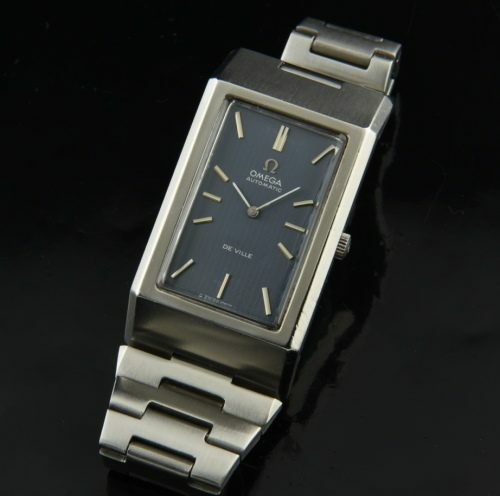 This is a very large Omega De Ville dating to the mid 1970’s and measuring 27×48.5mm. and 11mm. thick. These very large rectangular OMEGAS are very hard to find these days. 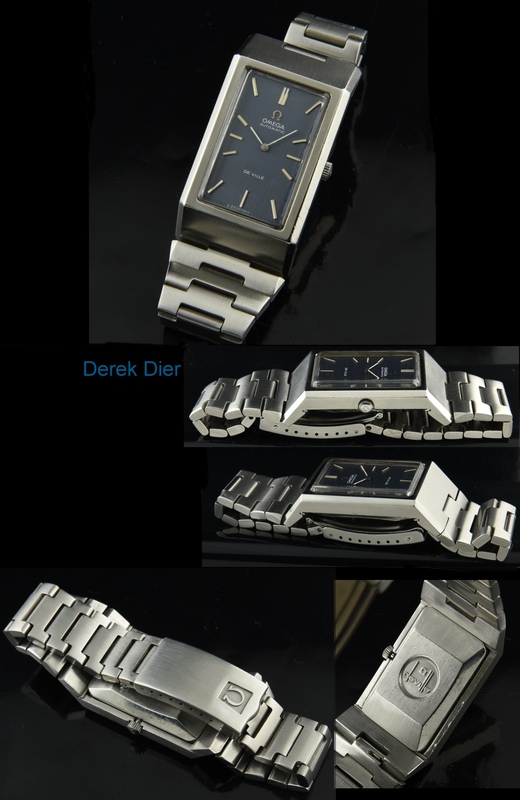 The original bracelet, steel case, original OMEGA winding crown, Omega original crystal all look great! The original “blue jean” dial with steel baton markers and hands is pretty well flawless. This fine automatic winding OMEGA movement was just cleaned and is accurately keeping time. This watch will fit a large 7.75 inch wrist if desired. This is a very cool watch.